Bob Mover was born in Boston. Since his early childhood he gets possessed by the saxophone. He is discovered by Phil Woods and as of then it all goes fast. At the age of 21 he shares the stage with Charles Mingus. Later on he regularly plays with the jazz legend Chet Baker. 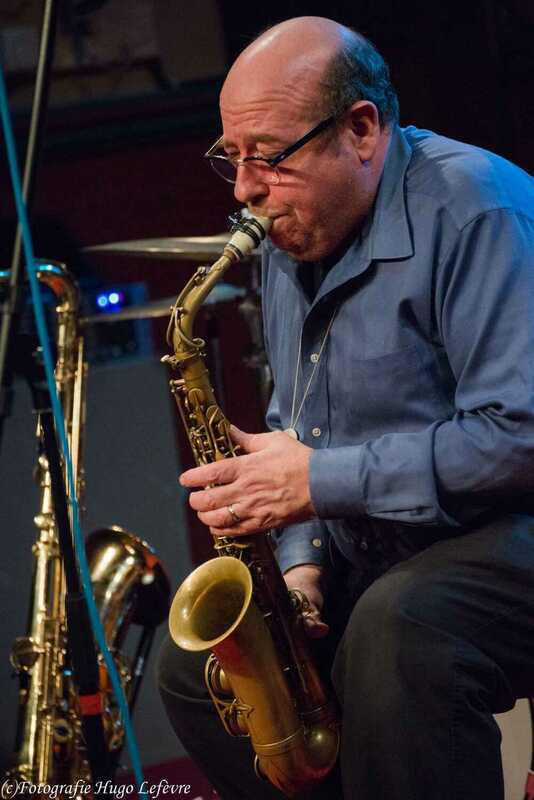 Mover distinguishes himself by his explosive style in which you can hear the influences of Charlie Parker, Stan Getz and Sonny Rollins. He possesses an encyclopedic knowledge of music and plays lyrical melody lines, interspersed with sultry bebop breaks. Bob Mover was for the first time live in De Centrale in January 2010( opatuur) and since then he is a welcome guest( with passages in March 2012, December 2013, and december 2014.). Tonight the Bob Mover Quartet performs in a slightly changed setting. Fixed values John Snauwaert (tenor en sopraansax) en Hans Van Oost (elektrische gitaar) are present again and newcomer Sal LaRocca takes the acoustic bass on his behalf. 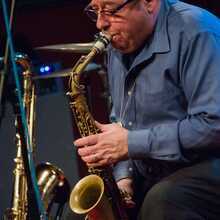 Bob Mover himself naturally provides all vocal and alt sax parties.